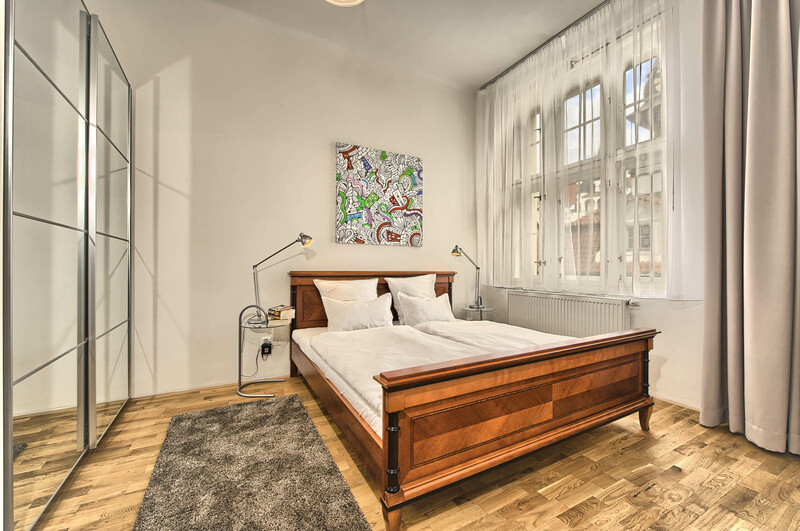 Cozy one-bedroom apartment is situated in unique and atmospheric Jewish part of the Old Town. Despite the residence being located in a lively tourist center, the apartment is very quiet. On your everyday return home you can enjoy stunning view of the Old Jewish Cemetery from the stairway window. 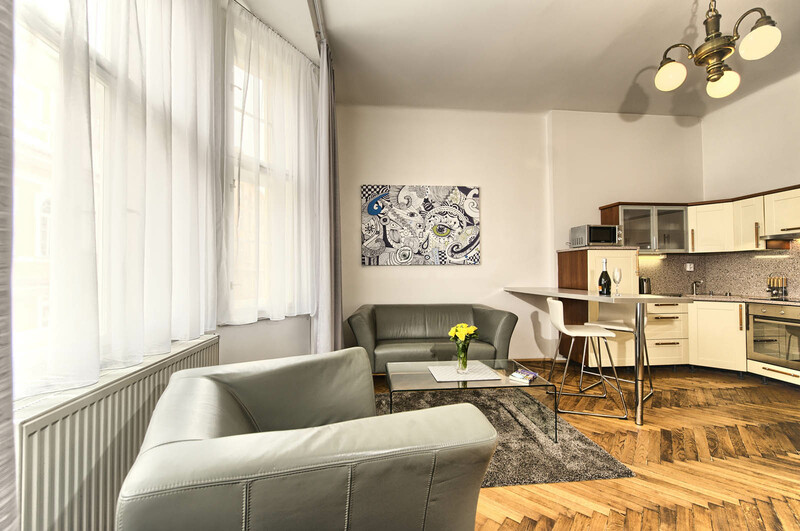 Apartment offers full comfort with living room connected to fully equipped kitchen with a bar. Bedroom includes king-size bed and plenty of storage space. 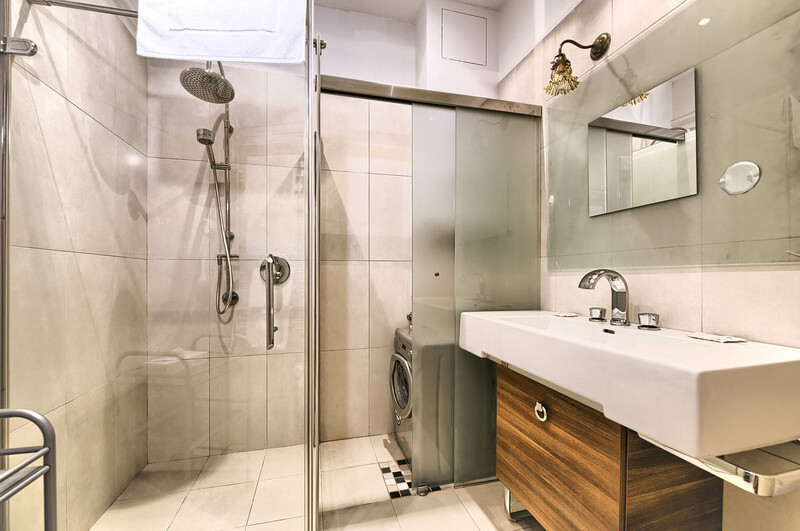 Bathroom consists of shower corner, the toilet is separate. 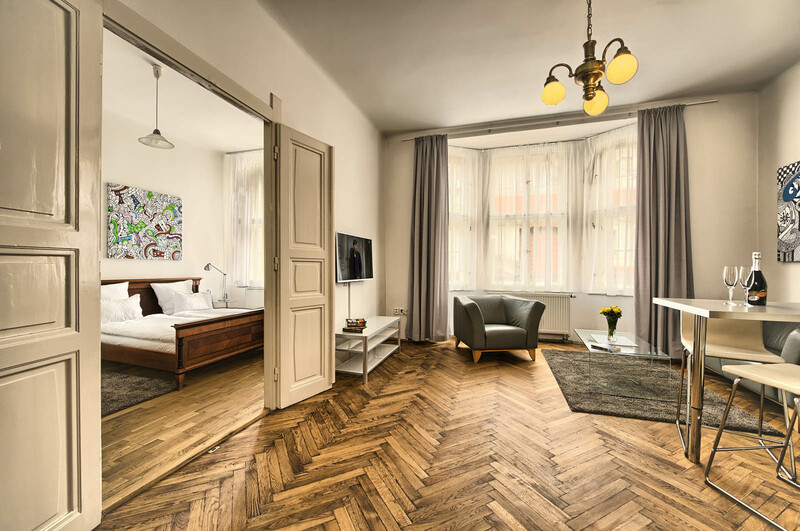 High ceilings and wooden floors will enhance the experience of your stay in the Prague city center with all Old Town tourist attractions just a walking distance from the residence. This apartment appeared to be recently remodeled. 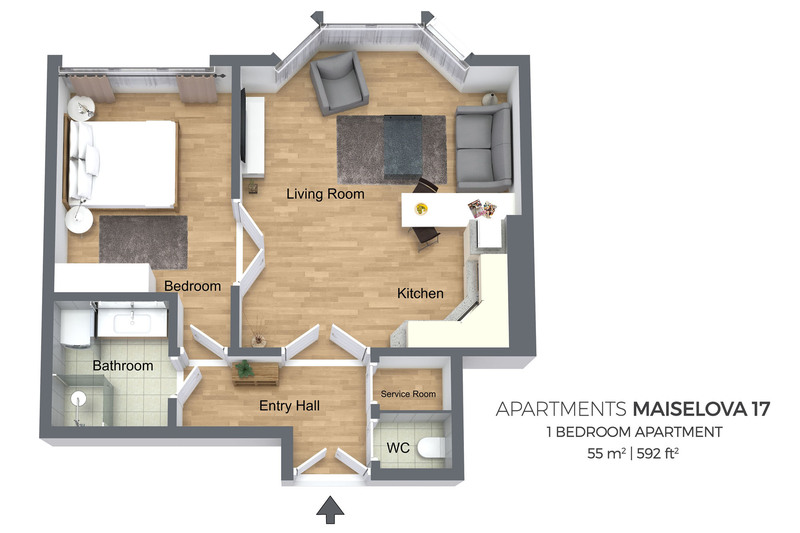 It is spacious and very well equipped with everything you need. My husband and I recently travelled to Prague as our son was participating in an International Ball Hockey tournament in Pardubice. (one hour west of Prague) We wanted to be able to support the team as well as spend some time visiting the beautifulcity of Prague. This apartment due to it's location, (old Jewish quarter) allowed us close proximity to the main railway as we would commute several times from Pardubice, but it was also just a few minute walk to the main square in the Old Town and allowed us to explore the many lovely streets surrounding it. The apartment itself was most spacious and immaculately clean. We felt at home the moment we walked in. We couldn't have asked for a better staff to deal with during our stay as they were available 24/7 to assist with any questions or issues we may have had. The only suggestion I would make is to provide a safe in the apartment as we needed to carry our valuables. I notice that the date you have listed for our stay is June 5-7, however we booked for June 5-12. This caused some confusion and panic initially with us as we received an email shortly upon check in that a staff member would be by on the morning of June 8 to collect the keys to the apartment! This matter was solved with no incident and we continued to enjoy our stay in Prague immensely. Thanks to everyone on staff for all your help. We would have no hesitation to recommend you to any one we know who would be travelling to Prague. 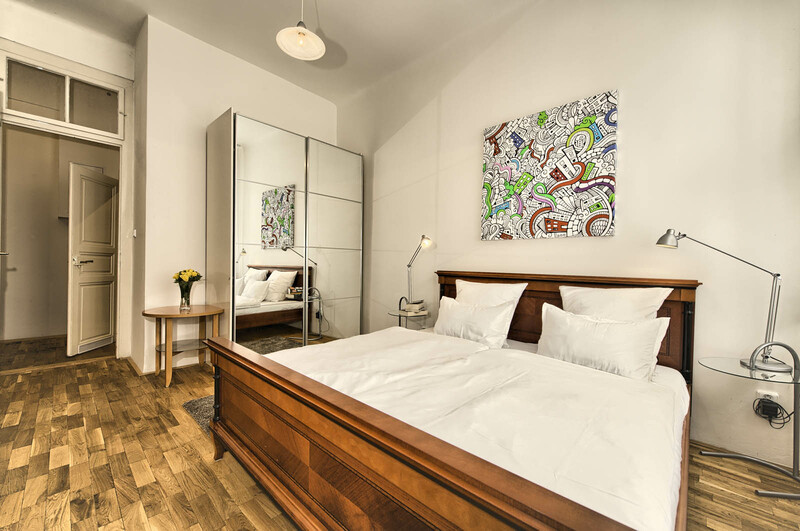 The apartment is perfect for a long or short stay to Prague. 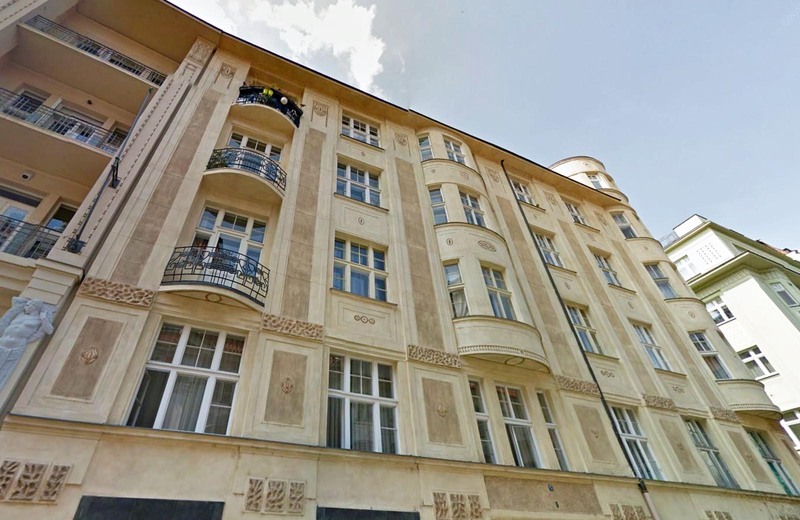 It is located in the city center within reach of most important landmarks. Good location and value for the money. 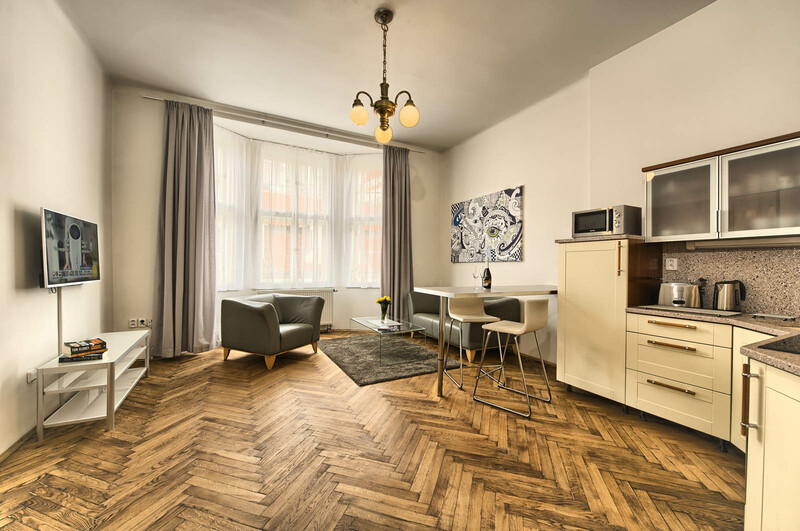 A drawer to store things in case of longer stay, and something at the entrance to hang coats would be a plus, but nonetheless it is convenient to stay at Maiselova 17. My overall evaluation is good , however, there are details which must be considered. - The platform of the bed on the left side was damaged. The wooden bars were warped and out of support; - The shower door don´t close properly . Everytime that we took shower , the floor got flooded . It was juste perfect ! Nothing to say ! 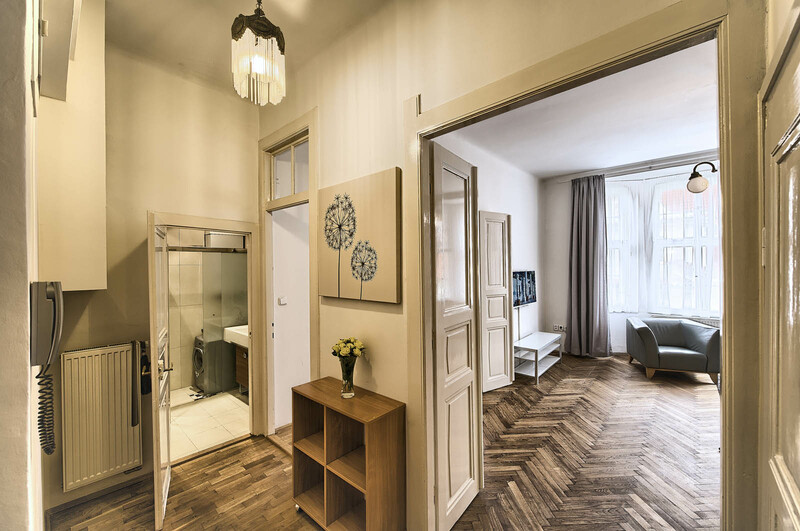 The appartment has a perfect location in the center city, juste in front of Old New Synagogue and near the Old Town Square. The cleaning service was excellent, very clean and it always smelled good :) The reception staff is lovely !!! Thank you for making our stay unforgettable !! !